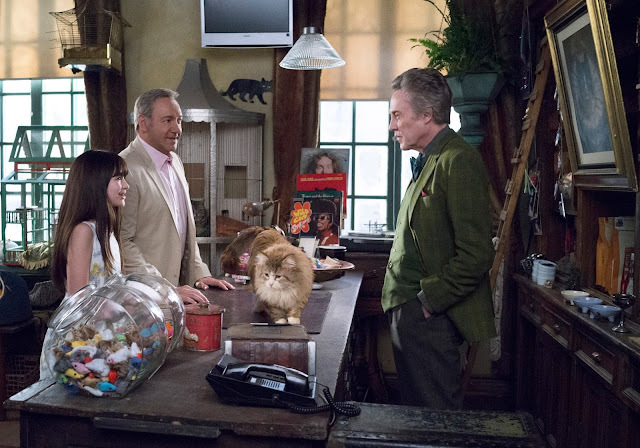 New Nine Lives Trailer Featuring Christopher Walken, Kevin Spacey, and Jennifer Garner! Whether you are a cat person or a dog person, there is something funny about the newest movie Nine Lives, starring Kevin Spacey, Jennifer Garner, and Christopher Walken. As if you needed any other reason to want to see it (the cast, though! ), here is a hysterical trailer to show your kids so that they know what they have in store for them this August 5th when it hits theaters! En route to present his daughter with her dream pet, a bizarre turn of events finds Tom trapped inside the body of Mr. Fuzzypants. 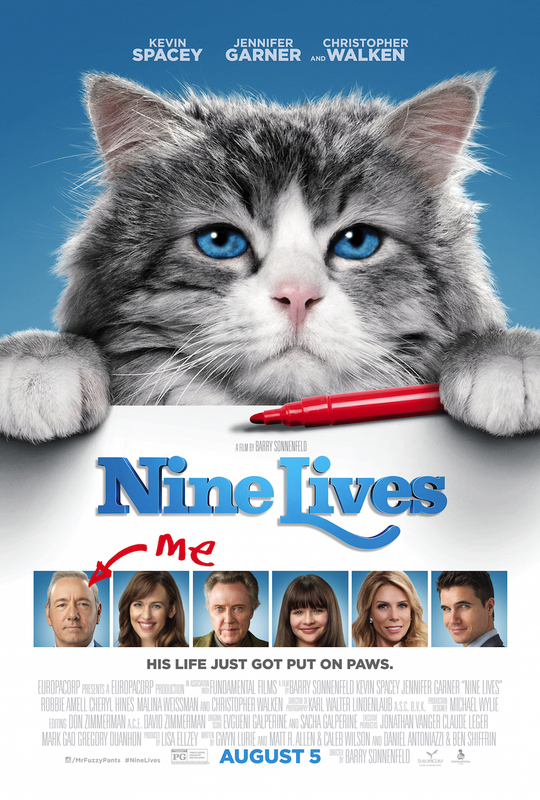 Adopted by his own family, he begins to experience what life is truly like for the family pet, and as a cat, Tom begins to see his family and his life through a new and unexpected perspective. Meanwhile, his family adjusts to life with an odd and stubborn cat, and his son David (Robbie Amell), steps up in ways Tom never expected. We are having a fun giveaway next week, but in the meantime, I recommend you visit the Official Site, Like ‘Nine Lives’ on Facebook, Follow on Twitter and Instagram, or Follow Mr. Fuzzypants on Instagram!